Dishwasher Not Draining? Try these Simple Tips for the Experts at Appliance Rescue Service! 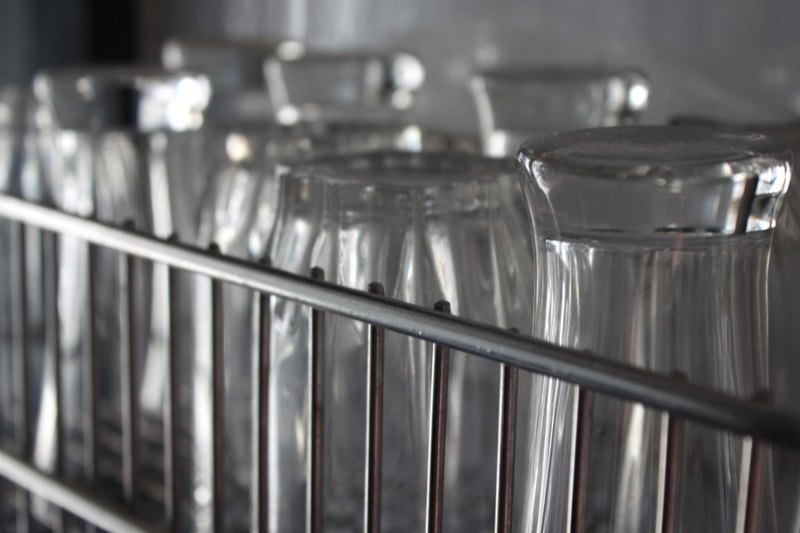 Water that drains from the dishwasher often drains up through the disposal, so if the disposal is full – you guessed it – the water may get backed up! So first up, run your disposal for a minute or so to loosen any harden food that is stuck in the disposal that could be contributing to the issue. Many homes have an air gap which prevents water from the sink from backing up into your dishwasher. Sometimes that air gap can gets clogged, which leads to water backing up in the dishwasher. If you have an air gap, it’s likely a dome shaped object sticking up by your sink somewhere. Simply remove the cover and clear any debris, then try the dishwasher again. This one is no fun, but if the first two tips don’t help your dishwasher start draining, then you’ll need to check your drain hose to see if there is a clog in the line. First, disconnect all power from your dishwasher. Next, remove the toe kick panel and locate the drain hose. Disconnect the line and then attempt to blow air through it to loosen any clogs in the line. If you find that your dishwasher still won’t drain and you need help finding the issue, call Appliance Rescue Service for Dallas dishwasher repair today! Our team will fix the issue quickly, with prompt, courteous service every time.